The Collective is made up of a carefully chosen, treasured reservoir of talent, partners and harbingers - each reinforcing our favorite insight from Steve Jobs: “You have to start with the customer experience and work backwards to the technology.” Everyone inside The HighStreet Collective understands and preaches this philosophy. Some people collect coins, or stamps, or cigar box guitars (yes, they’re a thing). We collect people. Awesome people. People that we have worked with in past lives. People who perform. People who are empathetic. People we trust. People who understand retail, technology and customer experience. Having been in the trenches of retail for decades, we know the key strengths of different service providers. While we remain “tech agnostic” (not married to any one service provider), we do make recommendations based on what we know will be the best solution for our clients. 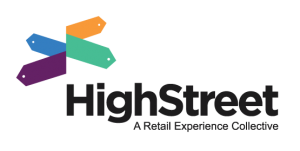 HighStreet Collective “Harbingers” are a diverse group of neuroscientists, futurists, makers, teachers, shoppers, and retail veterans who help HighStreet and our clients better understand what’s going on in the world, in the industry, and inside the mind of the shopper. Laura was literally born into retail. Wandering malls serving as the eyes of her blind, fashion-addicted mom, she cultivated a sixth sense for understanding what makes a great store experience. Twenty years later, she’s been a brand planner, internet maven, store design strategist, innovation instigator and she even 'wrote the book' on in-store digital media. She thrives when in a hive of activity, so don’t be surprised when she’s talking about 5 things at once. Don’t worry, it will make sense in the end—just fasten your seatbelt! We call Ed “The Professor” for a reason. Give him insights and he'll not only get to the why, but he’ll uncover the non-conscious reasons they're happening — and which ones are CX gold. And here is where the magic resides: Ed’s background as a creative director, change management consultant, sidebar empath and guerrilla neuro-maestro makes him a left brained/right brained strategic weapon. The only thing he loves more than cracking category conventions is sharing the data stories around the results. Kat makes everything work. The primary client-lead, she is the conductor of the orchestra for all things HighStreet. She has experience leading the AT&T Retail relationship, achieving disparate cross-team collaboration and building it to Digital and Innovation Agency of Record. Led the “Share-a-Coke” mobile-focused experiential program in which she executed over 600 events and distributed over 1M cans of customized Coca-Cola cans. Led UPS sponsorship properties which includes the NCAA, SEC, Big Ten, Pac-12, Dallas Cowboys, Atlanta Falcons, Atlanta Braves, Live Nation, and 69 individual colleges and universities. Executive producer of My Coke Fest DASANI Fest and The Big Dance in various cities during the NCAA Men’s Final Four® including VIP hospitality and talent management for artists including John Mellencamp, Maroon 5, Carrie Underwood, Taylor Swift, and Ryan Seacrest. Stacie brings experiences to life, quite literally, using her decades of retail and store design experience. She has been drawing pictures and creating things since as long as she can remember. While others used the Lego® kit designs, Stacie was a renegade designing rogue structures from her giant stockpile of random blocks. She sees the world in all dimensions and recognizes unique relationships between objects in space. Her favorite challenge is manifesting a traditional agency-generated brand into an amazing totally immersive retail experience for the shopper. Leaning on two decades in store environments industrial design and merchandising strategy her solutions are magic! DSF is the only not-for-profit independent voice of the digital signage industry, reflecting the diverse constituencies that make up our industry. Laura is a Board member supporting their goal to continue building a strong foundation for the advancement of the industry. The Center for Digital Experience (CDX) advances approaches to improve the engagement of patrons, shoppers, travelers, staff and students through digital media messaging, interactivity and experiences by providing professional networking and information that empowers the creation, planning, funding, supply, operations and optimization. RetailWire is retailing’s premier online discussion forum, serving the industry as a free resource for over 15 years with compelling content that goes well beyond conventional headline reporting.